out over 10,000 gallons in one month. In contrast, sewers can leak for years without anybody knowing. Unless a sewer is in expansive soils and a leak is adding enough water to swell the soils, there may be no signs of the leak. When a water line or a sewer line leaks enough water into expansive soils, the soils can actually swell up and lift a building. This is called heaving. Often when a leak is causing heaving, the presence of the leak may be suggested by the way the overlying slab is being bent. Domes in slabs often indicate the presence of leaks. Of course, once a foundation begins to move, all sorts of cosmetic damage can appear. In some cases, the damage can indicate the presence of a leak under the foundation. The shape and location of the damage can be a good indicator. This is a process called detecting Slab Leaks. First the water system is turned off at the meter. Then we pump air from an air compressor into the water lines, which forces the water still in the lines out. Then we try to determine the location of the water lines under the slab. Once the water lines are located, we use a special listening device to listen for air escaping from the pipe, to pinpoint the location of the slab leak. It is important to note here, that when locating slab leaks, it is only possible to find one water leak at a time, once slab leaks is located, that slab leaks must be repaired and another test performed to verify there are no further slab leaks. This means that it is possible to have more than one location charge and/or repair charge. However with that said, the overwhelming majority of houses tested do not even have slab leaks, and the majority of houses with slab leaks only have one slab leak present. It is just important for you to know what could happen. Once the slab leaks is exposed, we cut the bad section of pipe out, and install a new section in its place. Once the slab leaks are repaired, a final water test is performed before covering the slab leaks to verify there are no further slab leaks. 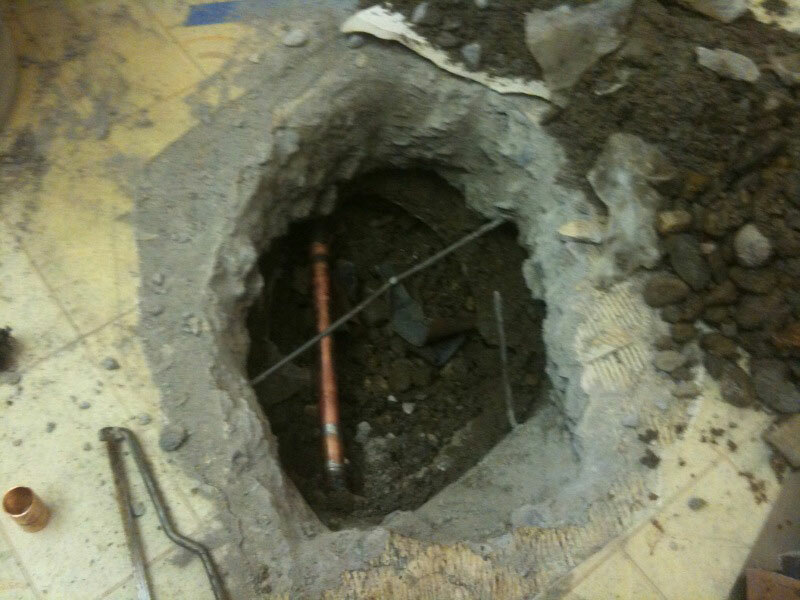 Once a no leak result is reached on the final test, we re-insert the dirt back into the open hole / tunnel and then replace the concrete if applicable. Slab leaks occur in a house’s incoming water line (or sometimes in the outgoing sanitary sewer line). 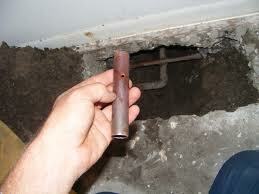 Leaks in both lines can cause large amounts of damage to the foundation. 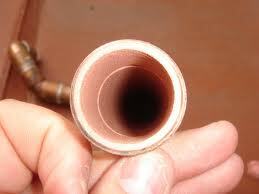 Leaks in incoming water lines will continuously leak because of the continuous flow and pressure. 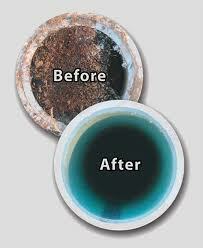 Water chemistry: The pH of water can have dramatic affects on the pipe(s) it travels through. Shifting of the foundation: Because of poor design or installation, or a change in the moisture of the ground, shifting can pull pipes apart. Water pressure: Water pressure that is too high, possibly because the diameter of the pipes installed may be too small, will corrode copper pipe. Leaks will also form at points where pipes bend or change direction. One simple fact of life is that, as homes age, the plumbing ages, too. Leaks from an aged piping system can wreak havoc with a homeowners’ peace of mind-water damage, mold and reduced water pressure are just a few of the warning signs that maybe it’s time to have a good, close look at a residence’s piping system.For years, the traditional route for a homeowner in this situation would be to re pipe the house. But a traditional re pipe, while providing a brand-spanking new plumbing system good for years of service, has some drawbacks. For example, probably the biggest barrier in a consumer’s mind regarding a traditional re pipe of a residence is that there’s is a certain amount of demolition that has to be done to do the job. After all, the re piping company has to have access to the insides of walls to pull out the old piping and install the new. This can disrupt the Happy Family Life for a while and once the re pipe’s done, there will still have to be drywall repairs, painting and the like. For several years now, slab leaks have been causing new technologies to be developed which are much less invasive and disruptive. Pipe relining, using either straight epoxy material or epoxy-impregnated “tubes’ of fibrous, felt and/or fiberglass material, has started to gain the attention of both home- and commercial building owners as an alternative to the sometimes messy traditional re-pipes and slab leaks. These two methods aren’t necessarily suitable for the same applications, however. Straight epoxy relining is generally used for potable water applications inside a structure, while the impregnated epoxy “tubes” are typically used outside the structure inside larger diameter pipes like sewers, branch lines and the like. Call Option One Plumbing for a free in home estimate Today! Kudos for an interesting and very lehpful article! Often, the signs of a leak are all around us and yet we either choose not to see them or we choose to ignore them. To think that leak detection is a simple matter of being aware of the sound of running water when all faucets and appliances are switched off! Sure, you would have to call a qualified and experienced plumber to fix the leak but in being aware of the signs of a leak you will be able to minimize the potential damage and lower the cost of repair too! Another priceless piece of advice is that the lack of visual clues does not mean there is no leak; in fact what it could mean is that there is a hidden leak. The tips on watching out for unusually high water bills as well as the presence of excessive moisture or mildew could mean considerable savings for homeowners every month!